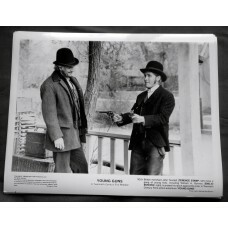 This Category contains Movie Stills, Tin Types and Historical photo's and posters. 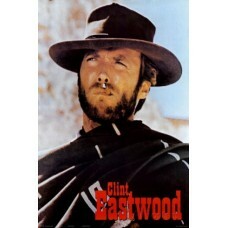 Clint Eastwood PosterClint Eastwood Poster The Good, The Bad and The Ugly. 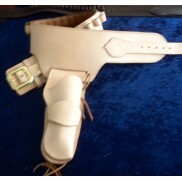 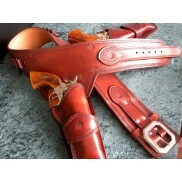 Size 24" x 31½" (60x 90cm.. 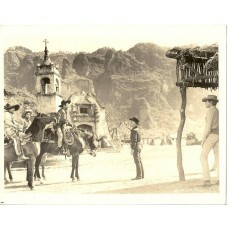 Magnificent Seven Original Movie Still Yul Brynner and Eli Wallach Yul Brynner and Eli Wallach .. 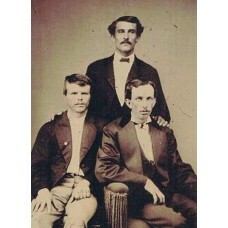 Male Photograph Tin Type Photo Portrait Cival War Era ImageTin Type Metal Photo from 1860-1869 3 Men.. 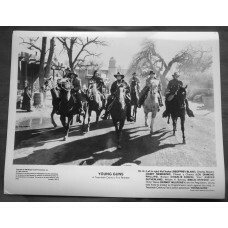 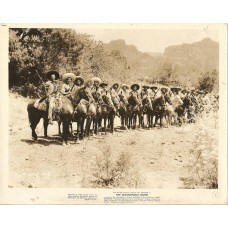 The Magnificent Seven cast of Bandits on horses 1960 western movie photo 9073 Original 8" x..
Young Guns 2 Original Movie PosterOriginal Young Guns 2 Movie Poster From My Own Collection. 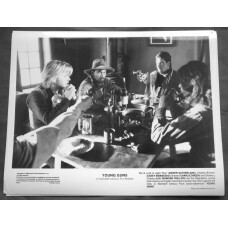 The Pos..
YOUNG GUNS 20TH CENTURY FOX PROMO STILLS KIEFER SUTHERLANDOriginal 8x10 20th century Fox..
YOUNG GUNS 20TH CENTURY FOX PROMO STILLS Jack Palance and Terence StampOriginal 8x10 20th..
YOUNG GUNS 20TH CENTURY FOX PROMO STILLS Kiefer Sutherland,Casey Siemaszko,Charlie Sheen, Lou Diamond Phillips,Emilo Estevez. 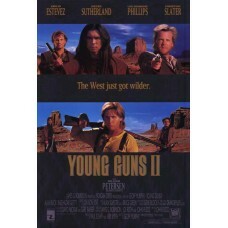 YOUNG GUNS 20TH CENTURY FOX PROMO STILLS Kiefer Sutherland,Casey Siemaszko,Charlie Sheen, Lou Diam..
YOUNG GUNS 20TH CENTURY FOX PROMO STILLS Kiefer Sutherland,Casey Siemaszko,Charlie Sheen..
YOUNG GUNS 20TH CENTURY FOX PROMO STILLS Casey SiemaszkoOriginal 8x10 20th century Fox pr..
YOUNG GUNS 20TH CENTURY FOX PROMO STILLS Director Christopher Cain. 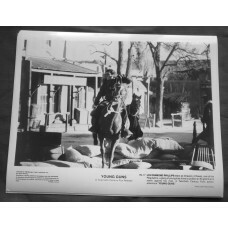 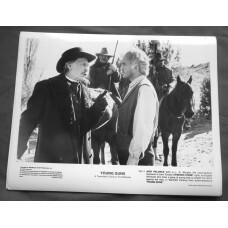 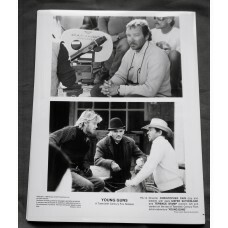 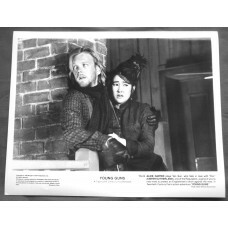 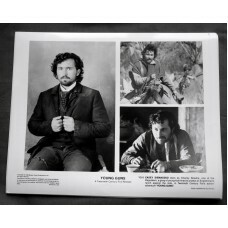 Keifer Southerland, T..
YOUNG GUNS 20TH CENTURY FOX PROMO STILLS Emilio Estevez & Terence StampOriginal 8x10 ..
YOUNG GUNS 20TH CENTURY FOX PROMO STILLS Lou Diamond PhillipsOriginal 8x10 20th century F..
Young Guns Original Movie PosterOriginal Young Guns Movie Poster From My Own Collection. 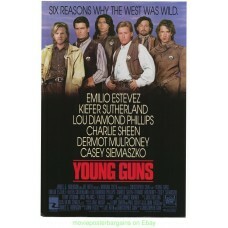 The Poster ..